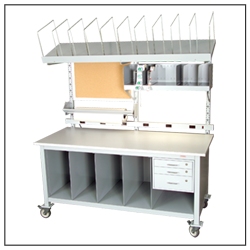 Your Design Specialist provides design assistance to configure “just right” workstations that fit your exact requirements. 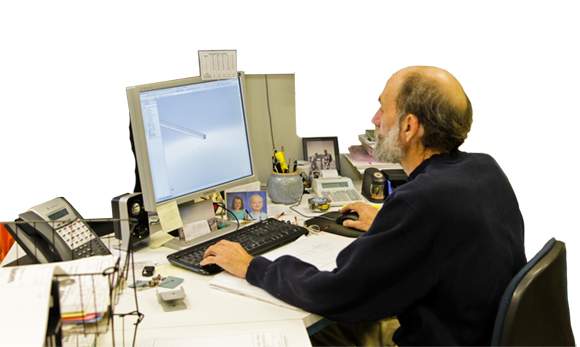 Every project, whether it involves one workstation or many, begins with our design assistance process. Your Design Specialist will make helpful, experience-based suggestions by asking questions that help define your exact needs. This is how we’ll assist you to configure and accessorize the best fit for your application. From the choice of work surface to the smallest accessory—our job is to help you make each workstation as lean, productive, and ergonomically friendly as possible. There are hundreds of design ideas on our website. These design ideas that you find in the Idea Generator or Design Idea brochures you can download are an excellent starting point for the discussion with your Design Specialist. That’s all it takes to get started – call 1-800-258-9700 or Contact Us today!